These generators are usually mounted on a trailer or lorry frame, complete with weatherproof enclosure. These require relatively little site preparation and planning. The fuel supply must be accessible by fuel truck. Include provision for a security fence. 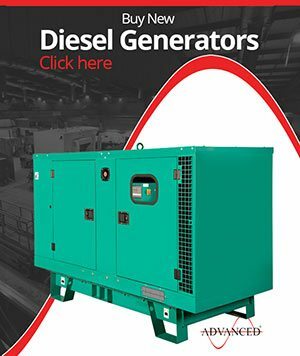 Remember to check both national and local regulations when planning your diesel generator site. Pay special attention to fuel spill containment – as 16 hours of operation can easily require 6000 litres of fuel (or more, for very large generators), spill containment can be a real challenge. It is almost certainly against local building codes to set such a generator on gravel. It is definitely a bad idea, even if it is ‘legal’. It is vital that the generator be kept level, and its vibration when operating will quickly destabilise a gravel base. Concrete pads are the industry standard for most soil conditions. Pad should typically be 1.5 times (‘half again’) the length and breadth of the generator itself. National and local planning regulations must also be consulted. These must be installed before the concrete is poured. Measurement and placement must be exact. After the concrete has cured, a hole is drilled, and studs are affixed using epoxy. The studs must be perfectly level and square. These require less in the way of site preparation than other types, as they are not permanent structures. They can be found from a little as 300 kW to as much as 2000 kW capacity, depending on their intended application. A large genset might weigh 30,000 kilos or more. Depending on ground conditions, the rear wheels may require dunnage as well. A large generator may burn through 650 litres of fuel per hour, and up to 13,000 litres in a working day. Lifting equipment – typically a portable gantry, overhead crane and/or large forklift will be needed to remove the skid form its delivery truck and manoeuvre it into place. 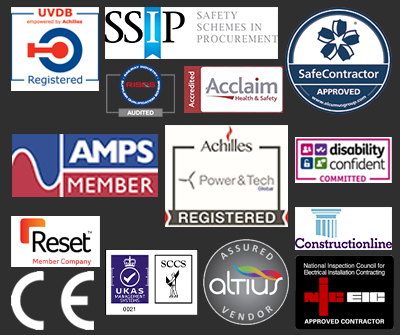 Ensure the concrete pad is located so as to allow required maintenance of all parts of the generator, and is compliant to all relevant regulations. Attach generator skid mounts to the pad, according to the manufacturer’s specifications. Measure and square them carefully. Ensure the room has adequate incoming air supply to support the generator in full operation. Ensure the fuel supply system is up to all relevant codes and regulations. This may require underfloor mounting and the trenches covering with grates.